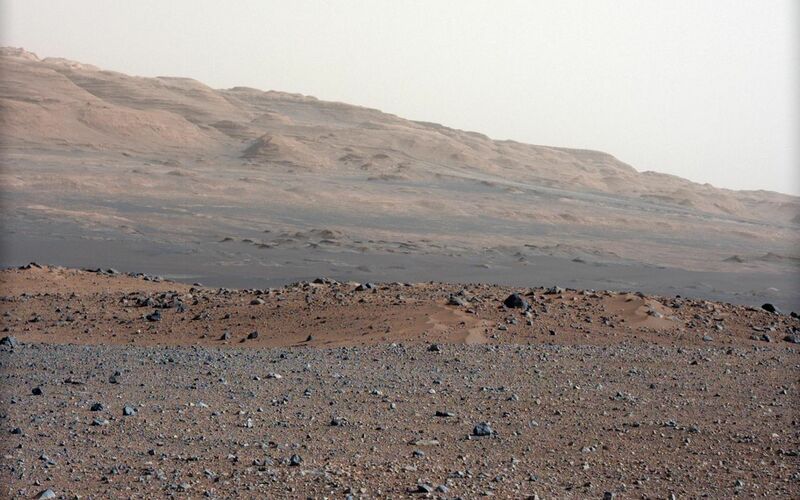 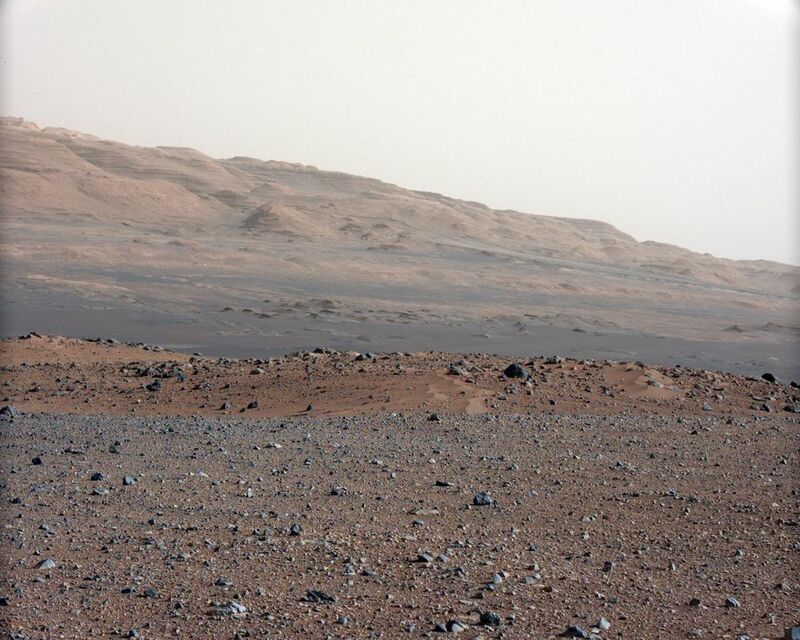 This image is from a series of test images to calibrate the 34-millimeter Mast Camera on NASA's Curiosity rover. 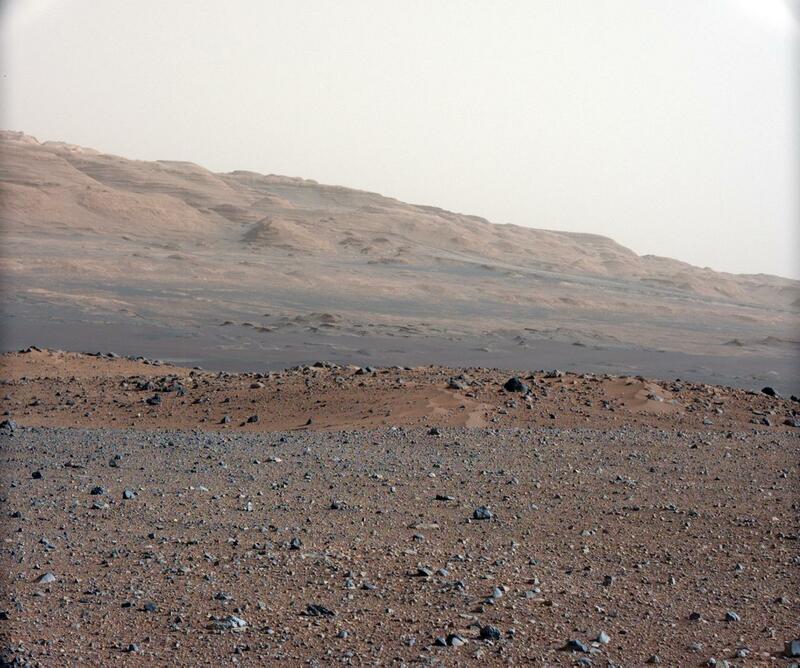 It was taken on Aug. 23, 2012 and looks south-southwest from the rover's landing site. 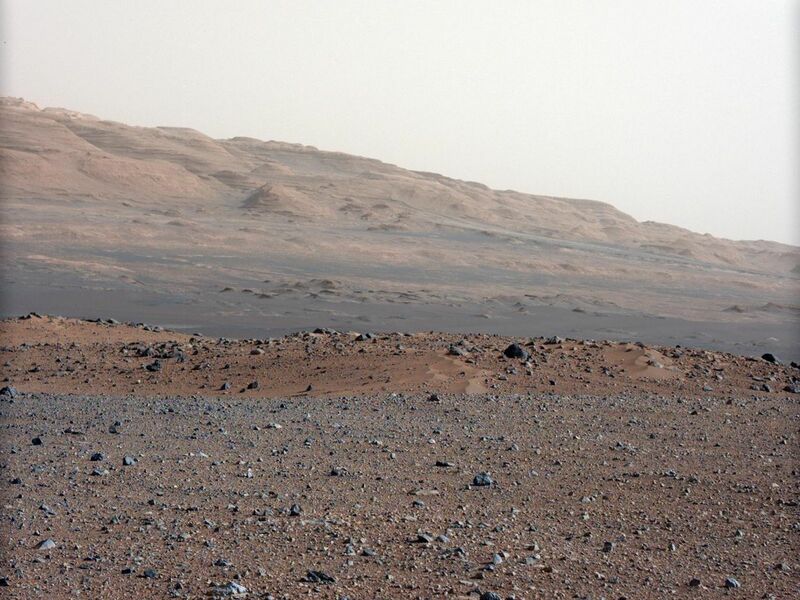 The 34-millimeter Mastcam takes images with lower resolution, but a much wider field of view than the 100-millimeter Mastcam. 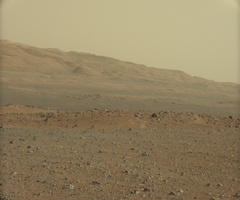 A sharper version of the same scene from the telephoto 100-millimeter Mastcam can be seen at PIA16104.